This is quick and simple! We are talking about QuickontheNet.com, the unique website service from Quick on the Net Limited. QuickontheNet.com is a place where you can design and build your own website and web hosting is included as part of the service. If you buy a website design template from our designs web page, it will be supplied using the logo graphic, layout and style you see presented when you click-through to view the site in question. All of the menu items and the site structure will be preserved when you make your purchase. In other words, it will be supplied ready for you to insert your own content. What's more, you can completely modify the site when you buy it. For example, you might wish to apply a new layout, a new style, or insert some new web pages. And of course, you can upload your own pictures and embed videos. We have already designed a car business logo for you. 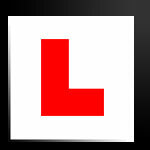 However, if you prefer, you can add your own driving school logo. We provide international design concepts, with pre-designed schemes for the UK, Ireland, Australia and New Zealand and they can easily be adapted for the USA and Canada. The full feature list is simply far too long to present here, so please visit our overview page for more information on this unique offer. Quick on the Net is driven by powerful software which puts you in control of your own website. But powerful doesn't necessarily mean complicated. When you build a website at QuickontheNet.com, our software is easy-to-use, yet it is very robust and secure. Just to clarify, you do it all online, through your web browser and there is no need to download any software. All you need to do is prepare your photos and logo images and a suitable size for display on the internet and then add them to your website. We give you access to our unique website builder tools through your internet browser; and it allows you to manage your own website. When you make changes and update your site, the results are immediate. And of course, because it's all online, you can make changes at a time that's convenient to you. Quick on the Net is flexible, allowing you to add, remove or rename menu buttons, insert your pictures, or add photo galleries. In addition to modifying the appearance of your site, you can change the content at any time. Quick on the Net is not just about creating your own website. We are also a hosting service provider and low-cost hosting is included as part of the service. Now it's your turn, so fasten your seat belt, check your mirrors and let's start up your driving school business website.